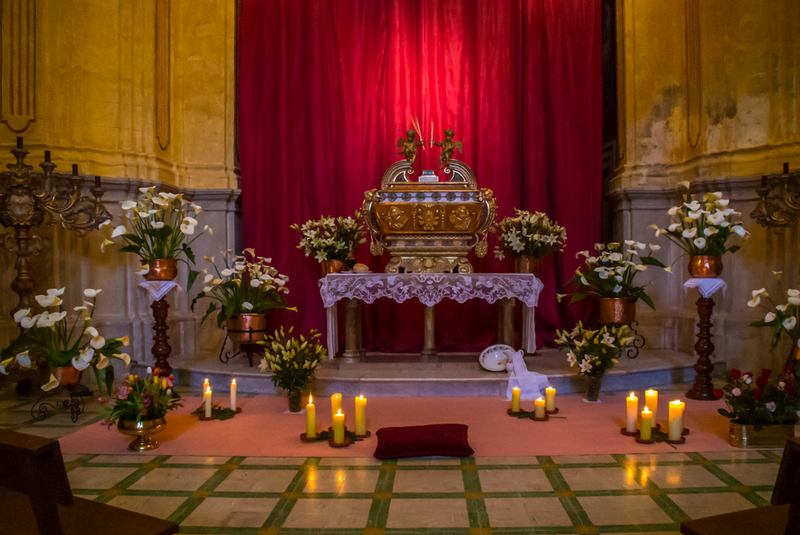 One part of the Easter traditions in Mallorca is the installation of the Casa Santa in a side chapel of the parish church. The Casa Santa is usually installed and lavishly decorated in time for Dijous Sant (Maundy Thursday). After the Missa de la Cena del Senyor and the ceremony of the Washing of the Feet, the custòdia (monstrance receptacle) is moved during a procession from the main altar to the shrine in the Casa Santa where it will remain until Saturday morning. Virtually all parish churches in Mallorca present such a Casa Santa; in Palma alone, there are 23 churches with a Casa Santa installed during the Setmana Santa (Easter Week).